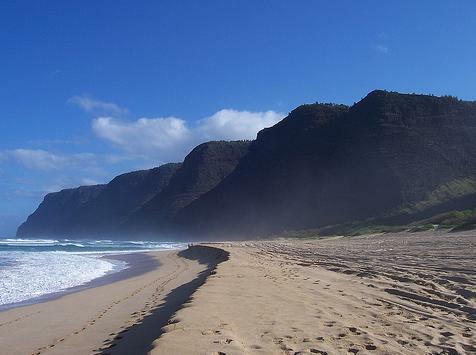 Polihale Beach Park: deserted, wide, sandy beach on Kauai’s West Shore. Hanakapiai: first bay after 2 miles of hiking along the Na Pali coast, most impressive setting, white, sandy beach. 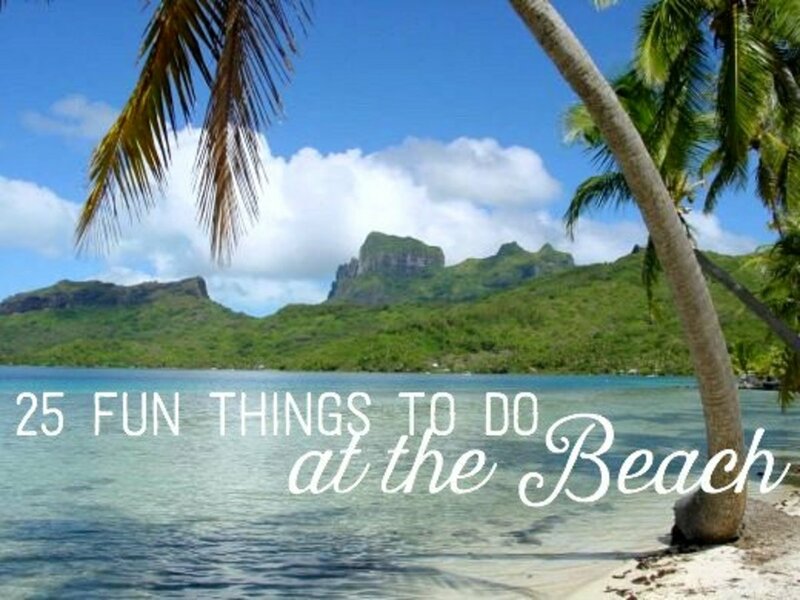 Hanalei Beach Park: beautiful bay in Hanalei, very romantic and picturesque. 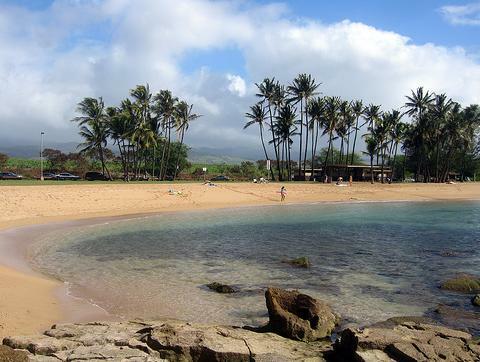 Poipu Beach: long, attractive sandy beach on Kauai’s South Shore, good swimming and snorkeling. Salt Pond Beach: amazing scenery, view of Niihau and miles of white sand beach. 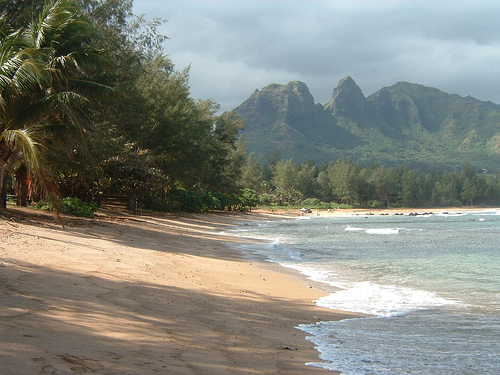 Lawai Beach: excellent surfing and snorkeling beach on Kauai’s South Shore. Lumahai Beach: beautiful setting, but dangerous for swimming, scenes of the movie ‘South Pacific’ were shot here. Anahole Beach: local favorite on Kauai’s North Shore. Kee: lovely beach on the North Shore, good snorkeling. 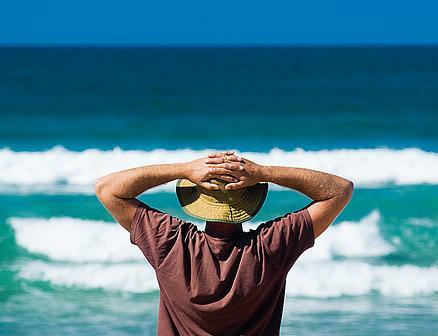 Access to all beaches: it is the law! In Hawaii every beach is freely accessible. Public tennis facilities: public tennis facilities are free in Hawaii. 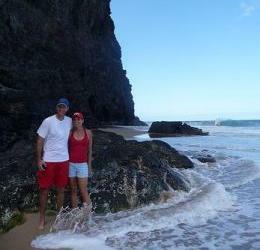 Na Pali Coast Hikes: enjoy the most breathtaking scenery in Hawaii!! 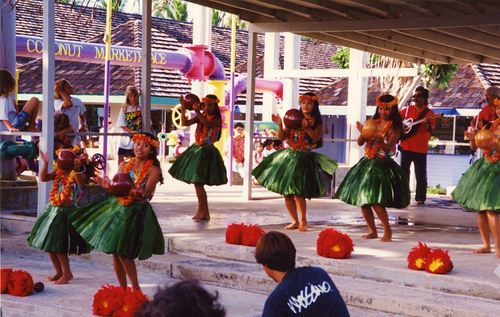 Watch a Hula Show: at Coconut Marketplace every Monday, Wednesday, Friday and Saturday at 5.00pm. Snorkel in paradise: for only a few bucks you can rent a mask, some fins and a snorkel, and you can explore Kauai’s underwater world – best spots are Kee and Poipu beach. Whale watching from the shore: both, the South Shore (Poipu beach) and the North Shore (Hanalei or Kilauea) offer excellent spots to observe whales. Whales are around from December to April each year. 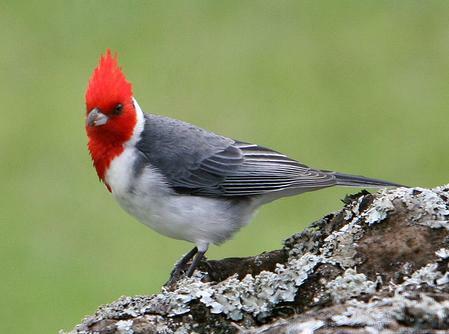 Bird watching: see some of the most exotic birds at Kokee State Park or at the Kilauea Wildlife Refuge! Try Boogie boarding: rent a board for only a few bucks, and try it! Best spot is Poipu beach. 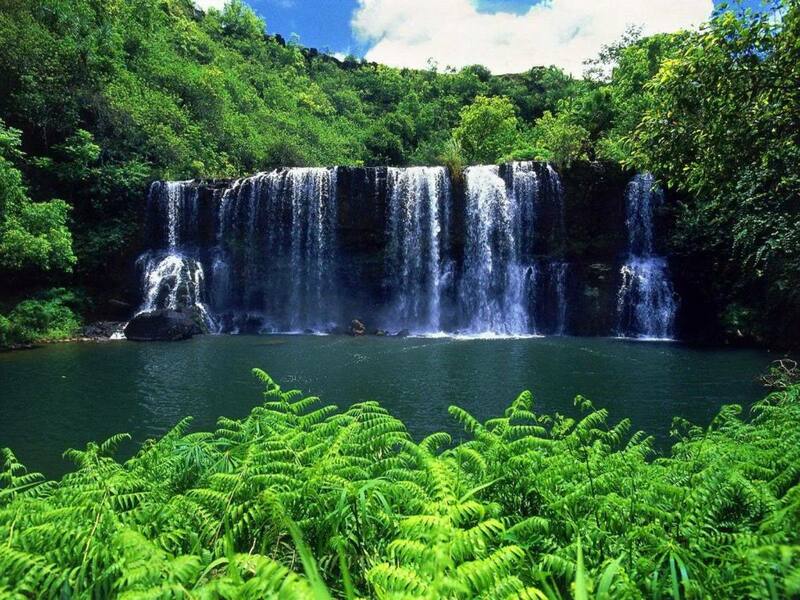 Explore the Waimea Canyon: enjoy some breathtaking views and the wonderful scenery of the Canyon of the Pacific. There are many hikes and viewpoints. 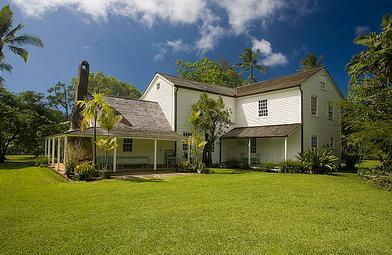 Visit the Waioli Mission House in Hanalei: admission is free to the 150-year-old mission house, build by Abner and Lucy Wilcox from Massachusetts. 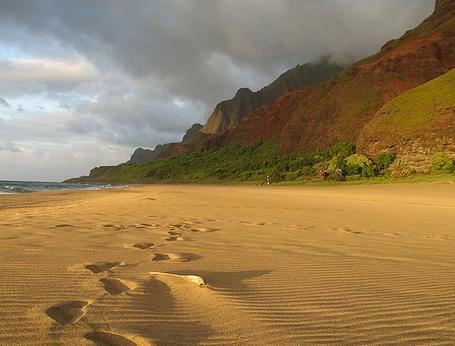 Hanalei Bay Walk: this is a wonderfully romantic walk along Hanalei beach. 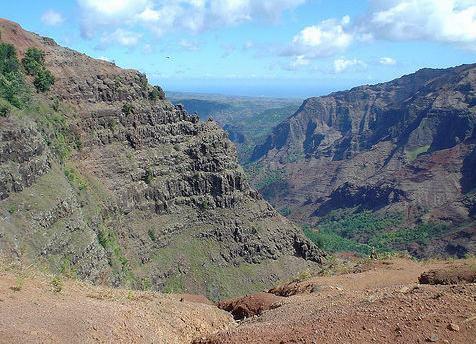 Kukui Trail (Waimea Canyon): this hike offers you the best views of the canyon. It is a strenuous hike, especially the uphill return, but definitely worth it. Hanakapaiai (Na Pali Coast): 4 miles round-trip, the most breathtaking hike on the island – beautiful views of the Na Pali Coast and the ocean. Canyon Adventure Trail: this hike is an 8 mile loop trail and offers you fascinating canyon vistas and two waterfalls with refreshing pools. 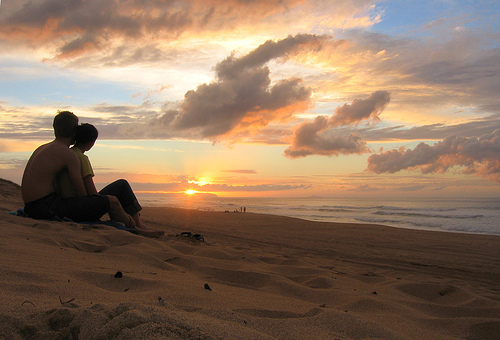 Polihale Beach Park: this incredible beach is 7 miles long, and you are usually almost on your own, enjoy a breathtaking sunset and a picnic! 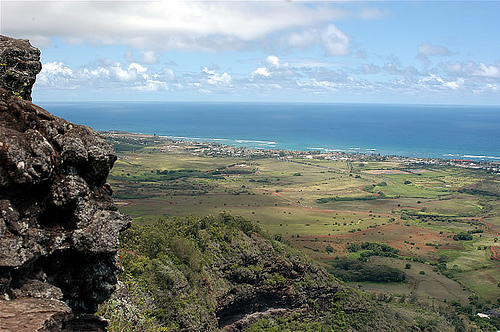 Sleeping Giant: this hike is 3.5 miles long and takes you up a huge lava rock formation, which looks like a sleeping giant – wonderful ocean and mountain views. Powerline Trail: this 2-mile hike is rated easy and takes you through the tropics of the North Shore – nice views of the Hanalei river, Wildlife Refuge and several waterfalls. Moalepe Trail: it is a 5-mile hike through the Makaleha Mountains. 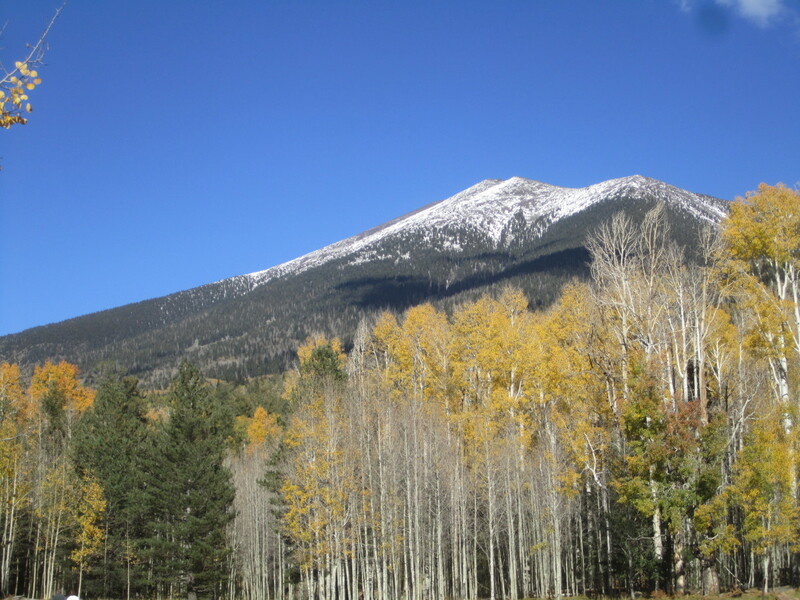 The elevation gain is 681 feet and leads you to an awesome viewpoint. Kalalau Trail: this hike is the ultimate hike on Kauai. It is 11 miles one way and follows along the Na Pali Coast. This stern hike ends at the unique Koolau valley. You have to bring your own water and camping gear. This hike is only for people in excellent physical condition. 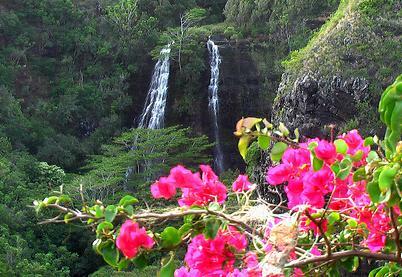 Northern Dam Trail: this is a 2 mile, moderate hike through the Waimea Canyon. Hanakapiai Bay: you can reach this wonderful bay by hiking 2 miles along the Na Pali Coast. There are hidden wet caves and a picturesque fresh water river crosses the bay. Drink at the Princeville Hotel: Try a tropical cocktail on the Princeville pool terrace and watch a wonderful sunset! Watch the sunset at Polihale Beach: The light of day fades as the sun drops down behind the horizon, with a radiant display of color. 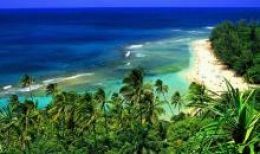 Anini Beach Cottages - spent a week in the most romantic cottages on one of Kauai's best beaches, and you'll never want to leave. Off Kee Beach on the North Shore. : walk along the pathway to the left of the beach and enjoy a wonderful view from a hillside terrace with lava rocks. Marjories B&B on the South Shore - have breakfast on her balcony and marvel at the views. 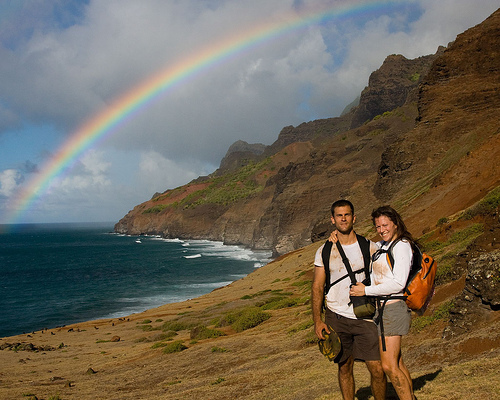 Kalalau lookout - see rainbows and the gorgeous Na Pali coast below the lookout. Dinner at Donderos: Donderos is the exclusive restaurant of the Hyatt Regency Hotel – most romantic setting and excellent food. Kayak Hanalei River: once you pass the bridge, you are alone in paradise – the clear and shallow water invites for a swim. The Victorian Cottage - this magnificent 2 bedroom home should be your home for a few nights while you visit the Garden Island. No, Martha Steward doesn't live here, although it is the most frequently asked question. Watch the magnificent Spouting Hole blowhole near Poipu. Surely there are some romantic connotations here! Oh. I quite forgot. Get married!